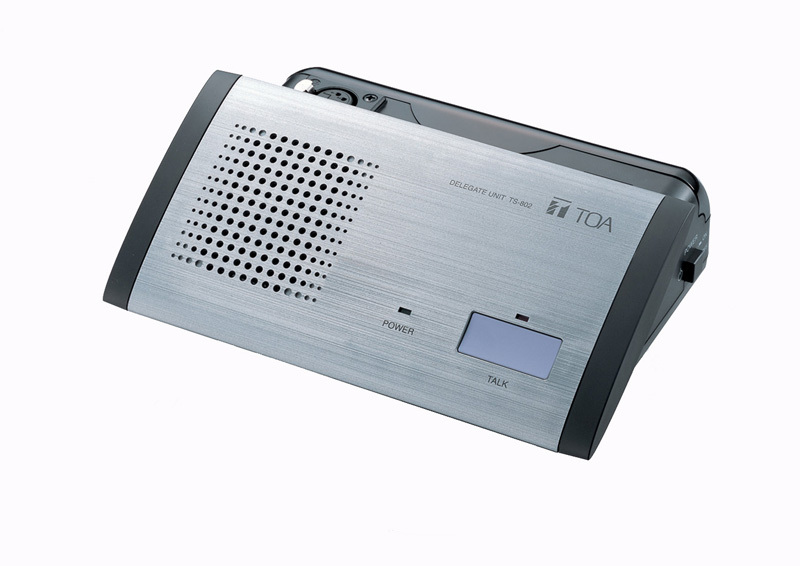 The TS-802 is a Delegate unit of the Infrared Conference system. Since the system is cordless, it can be easily installed and removed. It can be operated on either the AD-0910 AC adapter (optional) or the BP-900 lithium-ion battery (optional). It is equipped with a remaining battery indicator. Two types of dedicated microphones are made available for the TS-802 as optional products: the TS-903 standard “type and the TS-904 long type.